Pro Power Wash, a sister company of Clean and Green Solutions, one of our US distributors, recenty received a contract to keep the parking lot and drive thru areas clean for the Chick-Fil-A restaraunt located at West Lake Houston Parkway and FM 1960 in Humble, TX. Pro Power Wash uses the EATOILS™ BT200™ GREENER-CHOICE™ APPROVED Green Degreaser to remove all oil stains, food and beverage stains, and tire marks from concrete, asphalt and even soil. Using the BT200™ full strength, Pro Power Wash applies water to the heavily stained areas, followed by BT200™ full strength, scrubbed into the concrete until a white lather appears, and then it is allowed to sit for 60 minutes. 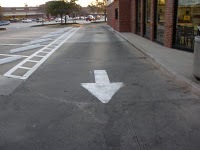 The drive thru is then power washed using a concrete scrubber, (3500 psi at 5.6 gpm) and the concrete is returned to - 'like new' condition. 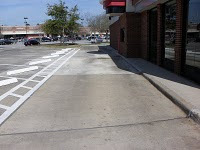 Matt Michaels, Chick-Fil-A operator says, "I have never seen our parking lot and drive thru area this clean. That BT200™ is awesome, you have made me a believer". All of our EATOILS™ products are GREENER-CHOICE™ APPROVED GREEN - How about ordering some today? Click here.